In the normal course of operations, it can be easy to lose your grasp on what a strategic plan is (or should be). 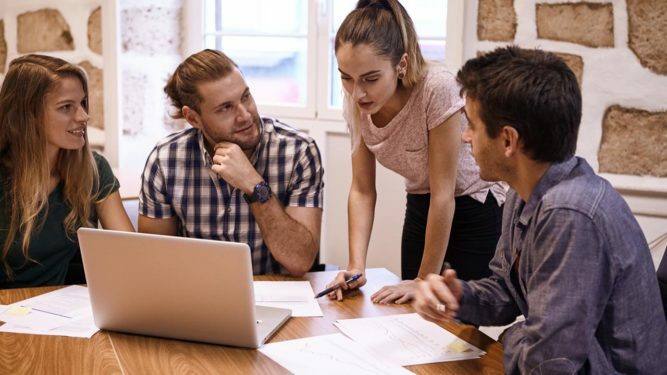 The best examples of good strategic plans all set clear priorities for an organization and focus employees and resources on established goals. 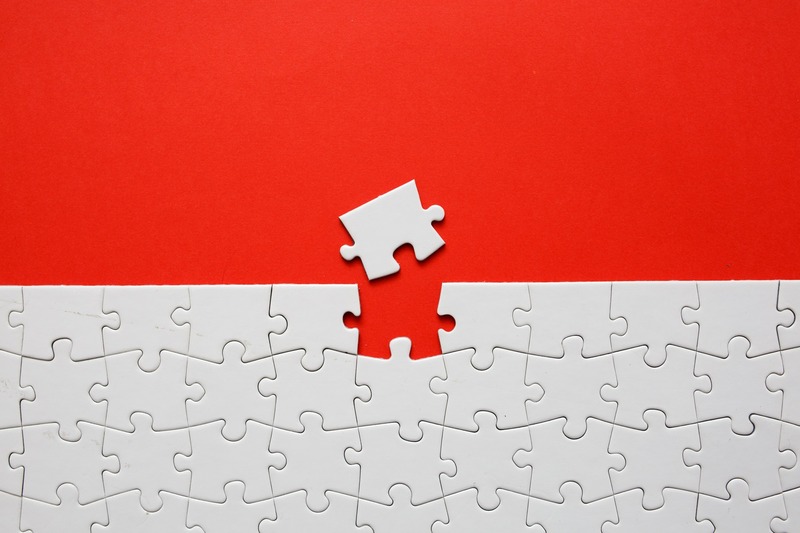 While a strategic plan does share common elements with a business plan, or even execution plan, it is very distinct from both of those things. 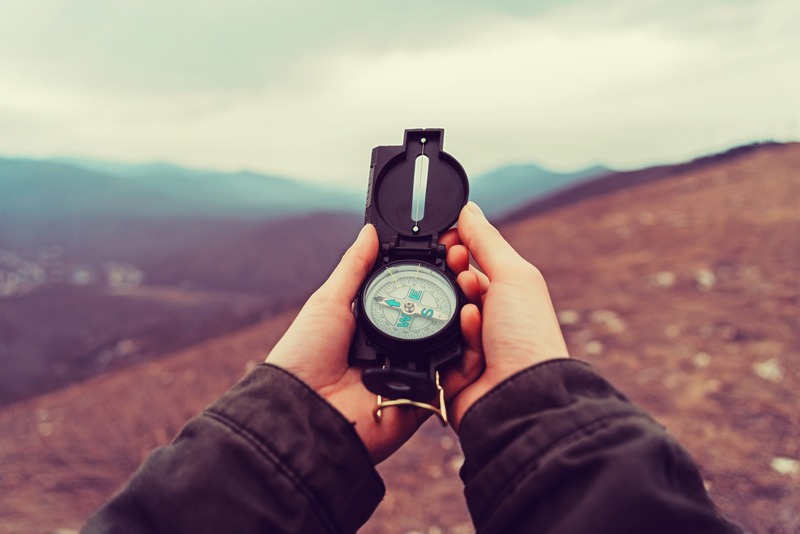 If you’re still feeling a bit murky on strategic planning, here’s how to launch a sample strategic plan step by step. 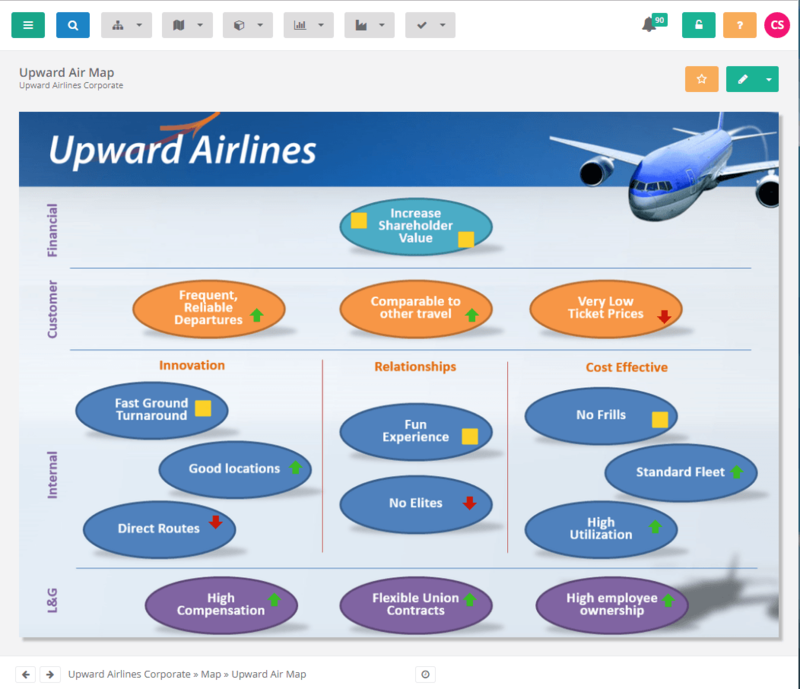 Meet Upward Airlines, our fictitious company that’s about to launch its strategic planning process. Let’s imagine Upward Airlines has a 2013-2018 strategic plan that’s coming to a close. Now’s the time to create a new strategy for 2019-2024. The airline’s strategic plan needs to include goals and the general plan of action on how to achieve them. Think of a strategic plan like a flight plan. Just like an airline has a final destination, like Hong Kong, and predetermined routes to get there, including departure times, direction, connecting airports, etc. Your business has the same kind of plan for its future growth. But for Upward Air, it takes more than just one flight to get where the company wants to go. The strategic plan is a five-year outlook on its operations, fleet, pilots, customers, and more. The airline can’t simply take the old plan and change the dates—it needs a full planning process that includes the below elements. Using an old, out-of-date strategic plan? This guide will show you how to do a review and refresh. Several new low-cost airlines have emerged and increased competition for routes to major cities. Bigger, established airlines have added perks like free WiFi and additional seat upgrades. Pricing for flights has changed dramatically across the industry in the past five years. Upward Air has saturated its current geographic footprint since its last plan. Strengths—A consistent marketing message about no charges for checked luggage and a standardized in-flight experience. Weaknesses—An aging fleet that was falling behind on technology. Opportunities—Allow people to bring their own devices (no programming overhead), and possibly modernize the fleet with new seats that allow for more people on the same planes. Threats—Competitors have copied the low-cost marketing message but added last-minute, hidden costs and confused the market. After an environmental scan and SWOT analysis, you should identify key changes your organization needs to make, which can then be plotted out on a shift slide. A shift slide defines a spectrum of where a company sits for a strategic area and how it can “shift” along that spectrum to reach where it actually needs to be. 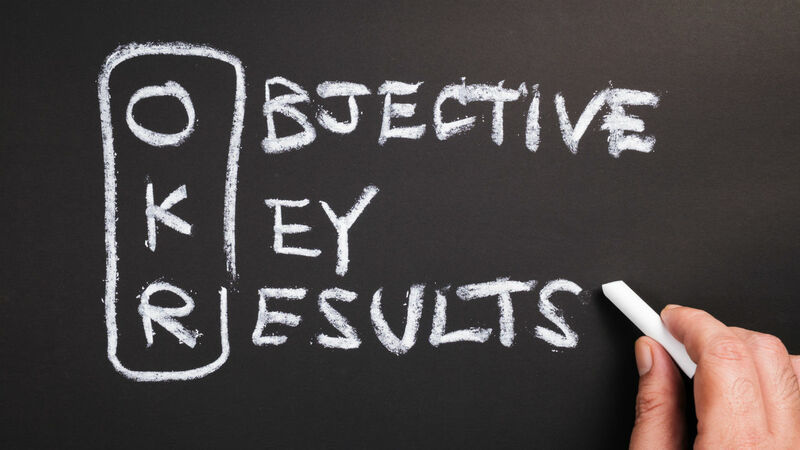 (If you need to take a step back and reevaluate your goals prior to plotting them on a spectrum, here are examples of strategic planning goals and objectives.) Sometimes shift slides involve big changes, such as modernizing an aircraft fleet, and sometimes it’s simply a change in brand positioning. Continuing with our strategic plan example, Upward Airlines decided it needed a customer perception shift slide to evolve the way flyers saw its brand. Its spectrum was to move from being thought of as a “no-frills airline” to “freedom in the skies.” A marketing shift was also needed, positioning Upward Airlines as “one cost,” instead of just “low cost,” and focusing on standardizing expectations for customers. The shift slide gets everyone on the same page about the most important changes ahead for your organization. The strategy map is the culmination of the previous work—it puts all information into one integrated framework. Setting new financial goals with a differentiated model that includes international flights and internet purchases. Offering straightforward pricing for customers with no hidden fees. Improving operational efficiency by retrofitting planes and revising the boarding process. Investing in technical and customer service training for employees. Before you leave, check out our strategic planning templates. They’ll give you even more guidance on what a strategic plan should look like. Or if you want to talk to someone, feel free to contact us and we’d be happy to help.